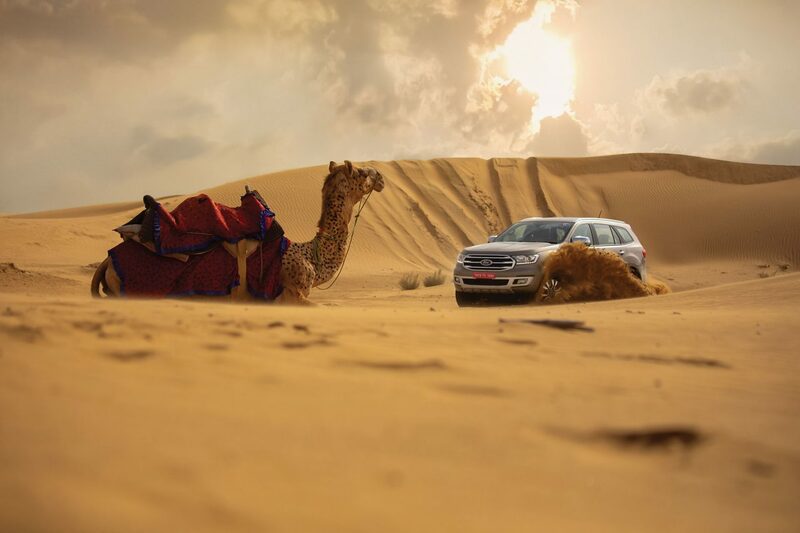 The Ford Endeavour, for the most part, has been massively capable and entertaining. It feels like it’s been built to last for the better part of a decade with minimal fuss (and it probably will, at that), and its big, comfortable, spacious interior has its own obvious appeal for people on the lookout for a serious people mover. And given that it undercuts most of opposition in terms of pricing, it’s generally been the pick of the lot for us considering it packs in so much value. Then again, Ford needed just that bit more to help prolong its life in India, and that’s just what it’s done with this refreshed avatar. Can’t spot it yet? Don’t worry, because the changes are subtle but important. To begin with, there’s a new ‘Diffused Silver’ paint shade that looks rather nice in the flesh, a new grille and headlamp inserts, a refreshed bumper with revised fog lamp housings and a new set of alloys. On the inside, there’s now keyless entry and a start/stop button, a black and beige dashboard wrapped in leather and double stitching, a newly designed gearlever, and puddle lamps. A big new inclusion is the fact that you can access the large boot by waving your foot under the rear bumper. Nifty feature, that. 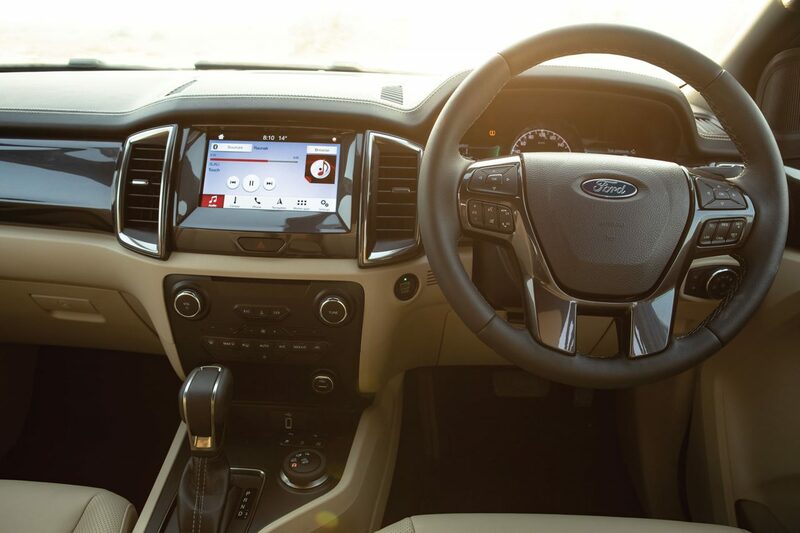 While the engine options remain the same (the 2.2-litre diesel and the 3.2-litre diesel), what’s new is the fact that you can spec the 2.2 with a 6-speed manual instead of the auto ‘box. The 3.2 only gets the option of the 6-speed auto, though. The car, then, performs just as well as last time. 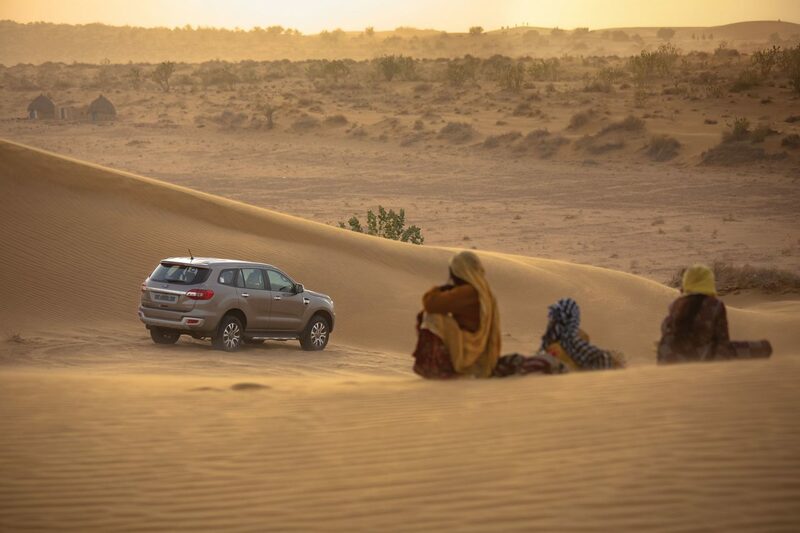 We sampled the 3.2-litre with AWD on a few sand dunes in Jaisalmer and it was downright capable and a lot of fun. 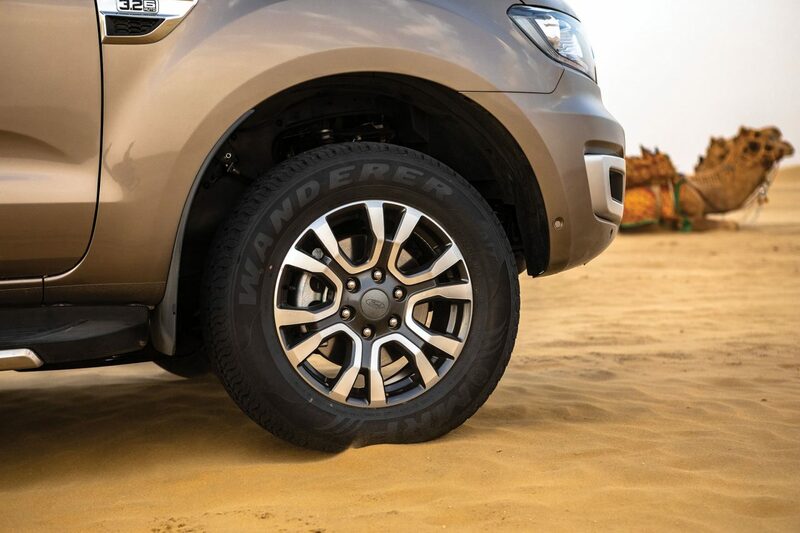 With the inclusion of these new features, the Endeavour now makes more sense than before. It’s priced between Rs 28.19 lakh and Rs 32.97 lakh for the top-spec 3.2 variant. What’s interesting is that, while the base Trend variant has been discontinued, the middle and top spec variants are priced slightly lower than the outgoing model. More power to you, Ford!